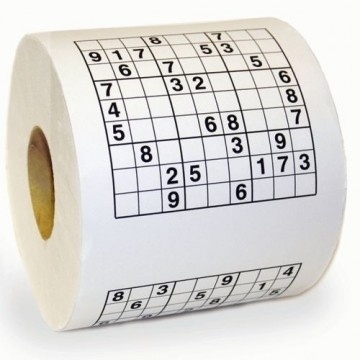 There’s never a wasted moment with this Sudoku bog roll – hours of fun. You’ll soon stop hearing all that urgent knocking on the door. 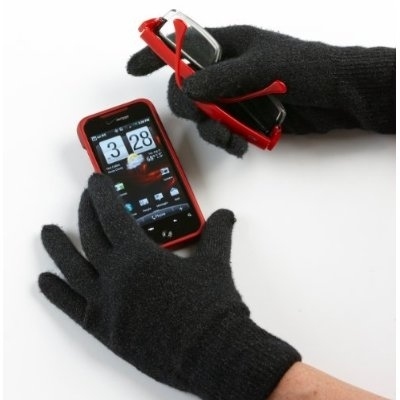 Ideal for idle texting, suitable for burglar friends on cold days or for people who never wash their hands. Any iPhone fanatical friend will be thrilled with this. They’ll never take them off. 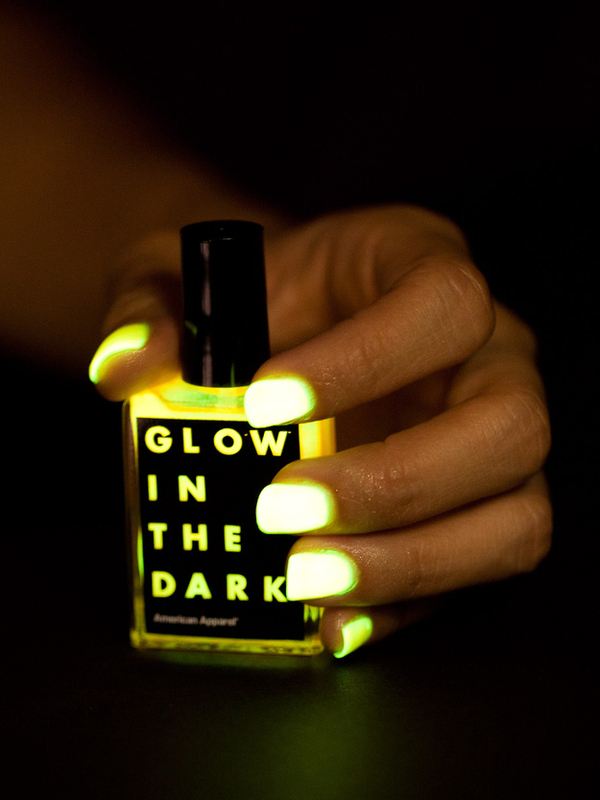 If you want to know where a friend’s fingers are in the dark, well, it can be useful to know, this is a handy present. For that special someone who looks great when the lights are out. You know how worrying it is when you’ve got half an avocado left and you don’t want it to fall apart in the fridge? Well, no, me neither. If you know someone who is a bit of a kitchen fanatic though, this might be the just present. 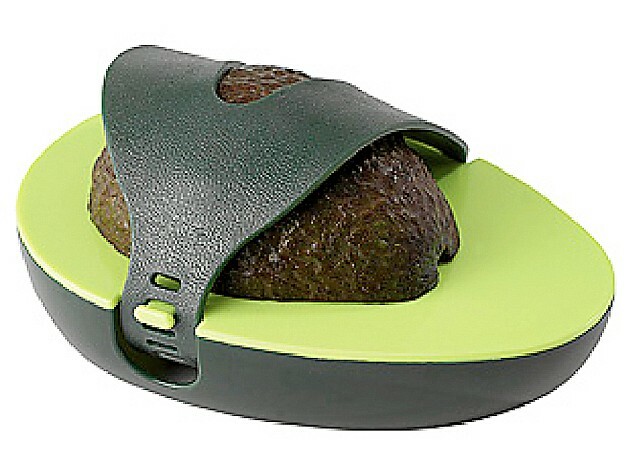 This no-nonsense avocado truss will keep all your super-chef friends’ bits together until they’re ready for them. This is no ordinary t-shirt – far from it – the ideal present for that irritating musical teenager in the family. 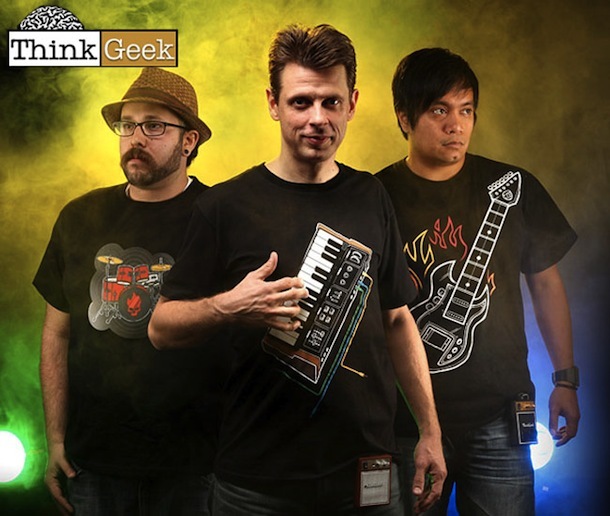 Yes, it’s a musical t-shirt, an electronic synthesizer t-shirt that you can play wherever you go. Train journeys will never be dull again if there’s a budding rock star feeling bored next to you on the inter-city to anywhere. You could always teach them House Of The Rising Sun then everyone on the train could sing along. You know what it’s like when you want to read a book and still do something else with your other hand? Well, no more losing your place with this splendid invention. 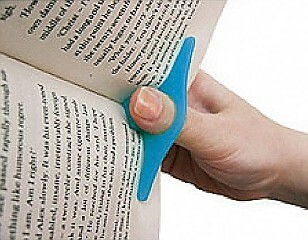 Just stick it on your thumb and the book will stay open. This would be so useful for that teenage son with the musical t-shirt and, for that matter, anyone absorbed in bog roll Sudoku. There are endless possibilities. 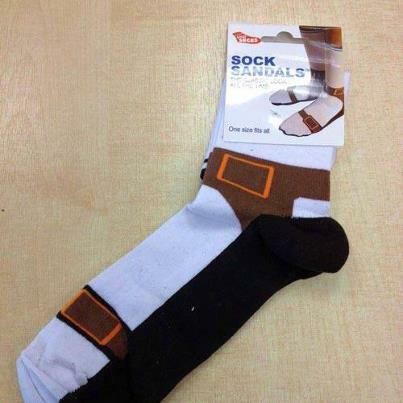 You can also wear socks with your sandals all year round with these ingenious sock sandals. Always sophisticated-looking this look but now it doesn’t just have to be on the beach, they would look nice and cosy in front of your log fire this Christmas too. People get so carried away with all the presents these days at Christmas, they forget what the festival is all about. 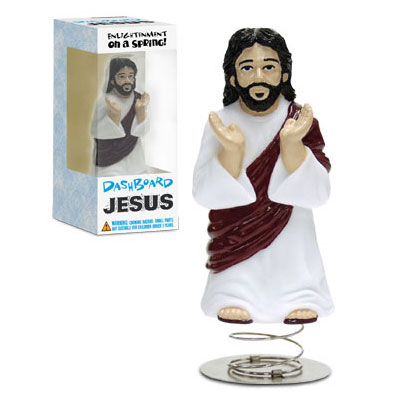 Why not give your friends one of these Dashboard Jesuses so that they can take the message out with them wherever they drive their cars. He will bounce around on the dashboard in the true spirit of festive celebration. I hope these ideas have been useful. It only goes to show that there is always a suitable present for any of your friends and relations no matter how weird they are. Let’s hope they appreciate all the care you’ve put into making them happy his Christmas.